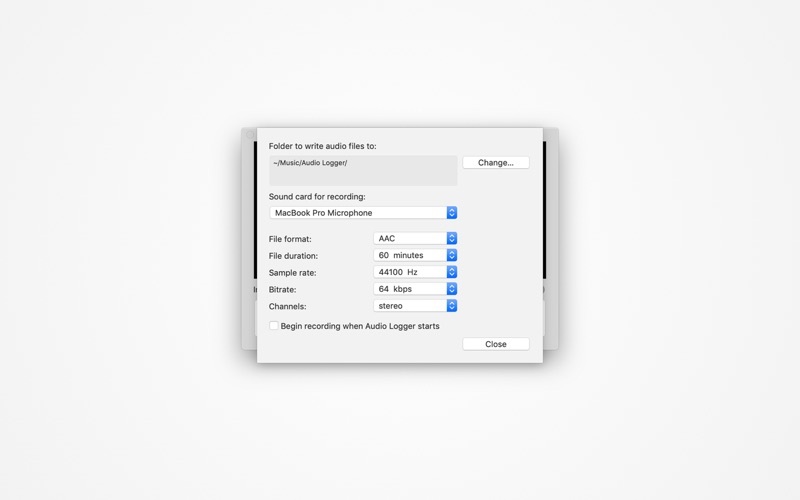 This program is designed for archiving of audio content, e.g. live radio broadcasts, to AAC, MP3, WAV or Apple Lossless files. 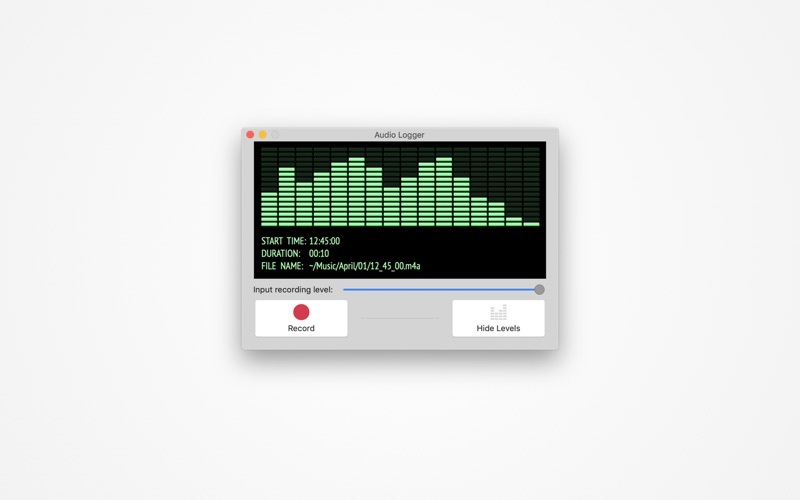 As a source, you can use a microphone or any sound card connected to your Mac. Recorded files are stored chronologically by month and date, with file names consisting of the hour, minute and second at time of recording. Their duration can be changed in the Preferences ranging from 5 minutes to one hour or be continuous. Visit our web site for more information, support and FAQ. The link is on the right side of this page. If you like Audio Logger, please leave your review here. I really love this app. It’s simple, straightforward, and does exactly what I need it to do. The recording quality is great, and the ease of use is a real plus. The layout of the “Preferences” menu is very clean and logical, making it extremely easy to change bitrate and file length. Overall, this is an excellent app. Can not record Streaming audio such as skype calls or Internet radio can only record off the michrophe. Requires third party "Soundflowerbed" to record MAC sounds; doesn't work with or without.